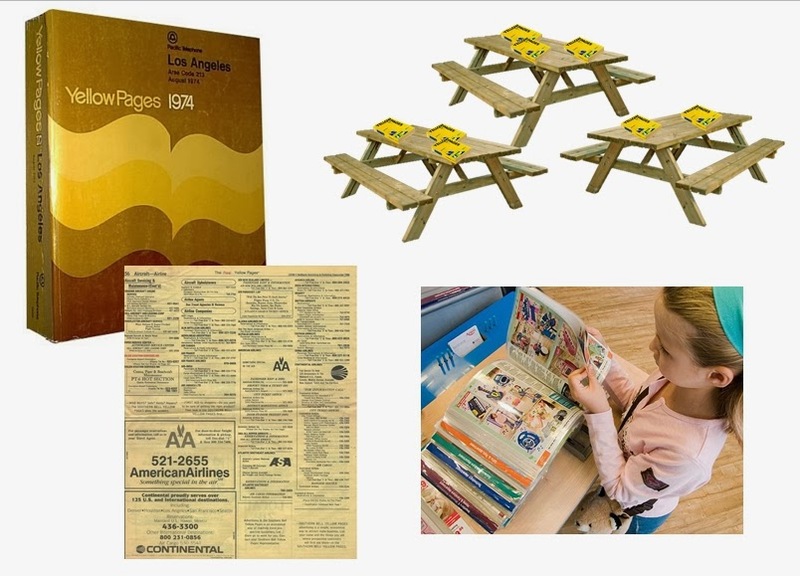 Eight copies of the 1987 edition of the Los Angeles Yellow Pages, offered as a reading area to browse at the audience's leisure, laminated like the Argos catalogue to preserve the delicate paper. JG Ballard, The Guardian, Weekend Travel section, 2007. 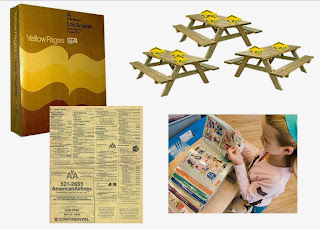 The books are to be displayed on a series of tables. I have chosen three standard picnic tables as they are inviting, familiar, unfussy and approachable. They are also adaptable, should people want to sit facing the other way to view works on the wall, or simply use them to meet and chat at, or even for larger group discussion, about the exhibition or other activities within the Centre. The tables are to be placed in a cluster the centre of the room, so they are embedded within the exhibition and reflected in both the mirror works. YOUR INPUT: If you have a better idea for the reading area furniture, that still fits the above criteria, please feel free to design one. Supplementary#1 The Work Swap ?